Cucumbers have 96% water content that is more nutritious than regular water, which helps in keeping the body hydrated and regulating body temperature. It also helps in flushing out the toxins from the body. Digestive disorders like acidity, heartburn, gastritis and even ulcers can be cured by the daily consumption of fresh cucumber juice. Daily consumption of cucumbers can be regarded as a remedy for chronic constipation. 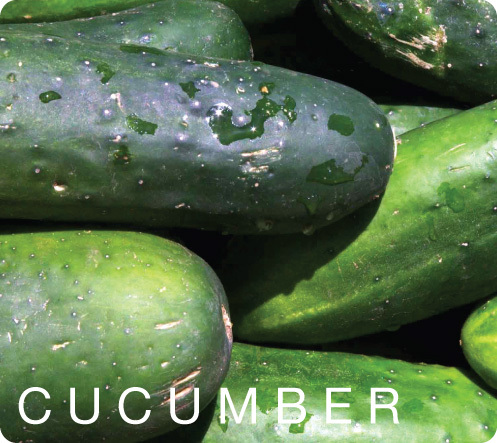 Cucumber is also an excellent source of silica, which is known to help promote joint health by strengthening the connective tissues. Cucumbers are rich in vitamin A, B1, B6, C & D, Folate, Calcium, Magnesium, and Potassium, when mixed with carrot juice, they can relieve gout and arthritis pain by lowering the uric acid levels. The vitamins and minerals contained in cucumbers also make them useful for skin care treatments.